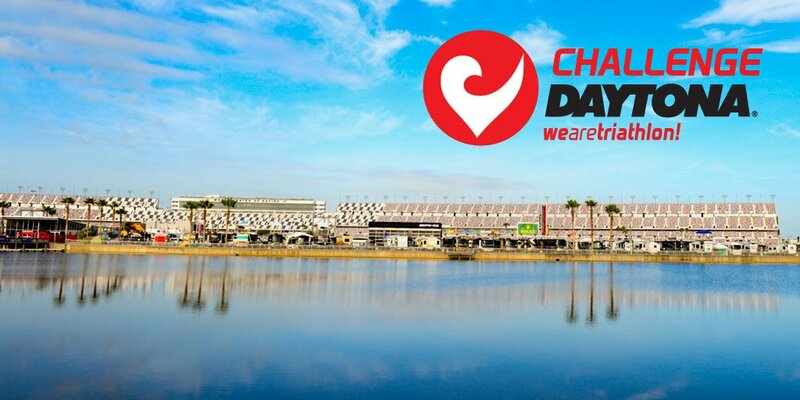 We're excited to announce a partnership with CHALLENGEDAYTONA, the inaugural CHALLENGEFAMILY triathlon festival set to take place at Daytona International Speedway. As the Official Wetsuit of the CHALLENGEDAYTONA Triathlon Event, blueseventy will support athletes in training for and racing the swim leg of the race in the welcoming waters of Lake Lloyd. "We're excited to team up with Challenge Family to support the new Challenge Daytona event. The race, the venue, and the competitive international professional field will all add up to an awesome athlete and spectator experience. The swim in Lake Lloyd, located inside Daytona International Speedway, sets the stage for an event like no other," says Mike Orton, Brand Manager at blueseventy. CHALLENGEFAMILY CEO Zibi Szlufcik couldn’t be happier with the new partnership. “blueseventy is known throughout the endurance sports community for their innovations in engineering and design. Their products—and the team that stands behind them—are second to none. They’re a perfect fit for our new race, which promises to provide an outside-the-box triathlon experience,” says Szlufcik. The CHALLENGEDAYTONA festival weekend, scheduled for December 7-9, 2018, will be the first of its kind at Daytona International Speedway. The swim course will be a highlight of the event, taking place in Lake Lloyd, a 29-acre manmade lake located at Daytona International Speedway. As athletes swim they’ll have sight of the track, where they’ll log both bike and run laps later in the race. Lake Lloyd shares in the heritage of the iconic NASCAR venue. The lake was created in 1958 when the Speedway was first built, and the excavated dirt was used to create the 31-degree high banks in the turns of the track. The water temperature in Lake Lloyd generally hovers between 68-72 degrees Fahrenheit, indicating (per USAT rules) that the swim will most likely be wetsuit legal. Along with an unprecedented triathlon venue, the CHALLENGEDAYTONA festival provides something for everyone. The weekend’s full roster of events includes Sprint and Middle Distance Triathlons, the Junior Challenge kids’ race, Relay categories, Duathlon and Aquathlon events, 10K run and 5K run/walk events, and the all-new NASCAR-inspired Pitstop Challenge. As an incentive for the more serious competitors, the top six male and female finishers in each Middle Distance Triathlon age group will qualify for THECHAMPIONSHIP, to be held on June 2nd 2019 at the x-bionic sphere in Samorin, Slovakia.